his eight ancestors. DOGON or HEBBE means « pagan », who refuses to agree to Islam. 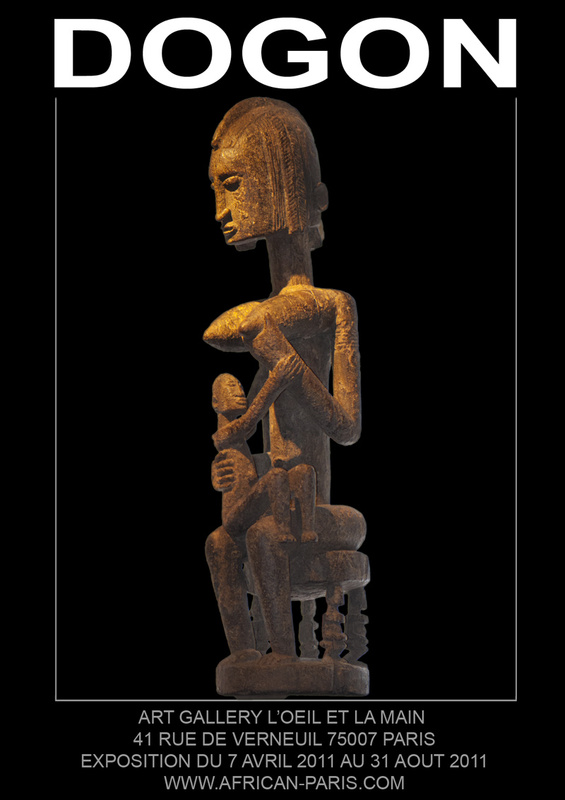 for this exhibition a DOGON's maternity. symbols and sacred characters evocating the powerfull world of spirits. Threw these representations sculpture delicacy and DOGON patina underline its power. child on knees. Chil tries to hold on her bosom.